Pump Industry Awards - Recognizing service and motivating commitment. Product of the Year sponsored by Process Industry Informer: Xylem Water Solutions for its Flygt Concertor XPC. Environmental Contribution of the Year. sponsored by SPP Pumps, Armstrong Fluid Technology – Armstrong Tango Parallel Pumping Solution. The event was hosted by TV and radio presenter, Penny Smith, who has presented programmes for Sky News, GMTV, Classic FM and BBC Radio London. She currently presents Weekend Breakfast for talkRADIO. Online entry forms available until 18 January 2019. The 2017 Pump Industry Awards winners announced at a gala dinner. The 2015 Pump Industry Awards achieved its goal in bringing together the entire pump industry for a celebration of business and professional excellence. 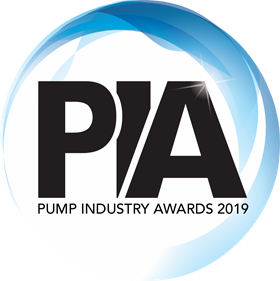 Excellence in the pump and pump-related product industries has been recognised and rewarded by the 10th Anniversary Pump Industry Awards.